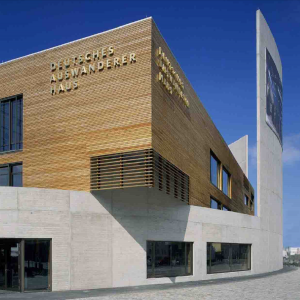 The German Emigration Center in Bremerhaven is Germany’s first and only museum that permanently presents both the emigration from and the immigration to Germany during the past three centuries. 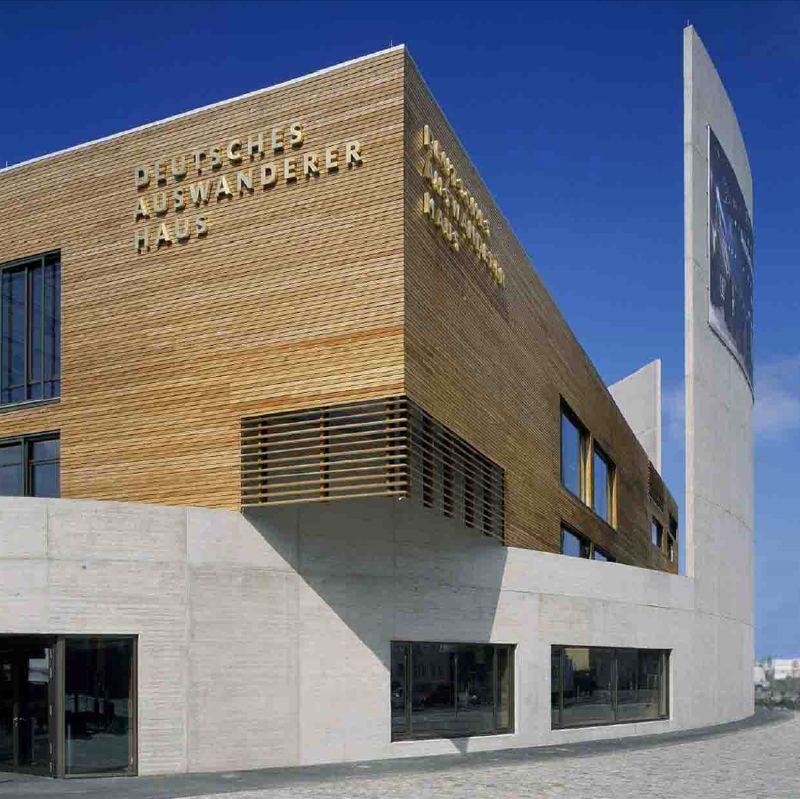 Situated at the departure point for approximately 7.2 million emigrants who left between 1830 and 1974 for the New World, the New Harbour of Bremerhaven, the Cultural History museum opened in 2005 and was extended in 2012. The museum collects, preserves, studies, and exhibits the tangible and intangible cultural heritage, which is part of German migration history since about 1700 in a comprehensive sense: life stories, biographical objects, and various kinds of documents, pictures, and objects representing the historical, sociological and ethnological context. These collected items are presented in reconstructed historical settings. Regarding to the German emigration the settings are based on components of a typical voyage to the United States of America at the end of the nineteenth century. Regarding to the immigration to Germany they are grounded upon stores from several Western Germany’s cities in the seventies. Thus the visitor is both able to experience, and reflect upon, what it specifically meant and generally means to migrate, whether in the past or in modern times, whether out of or to Germany. 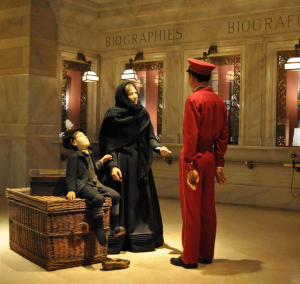 Impressing critics as well as the public with its attention to detail and innovative historical presentation, the German Emigration Center won the European Museum of the Year Award (EMYA) in 2007. I AM TRYING TO LOCATE MORE INFORMATION ON MY GREAT GRAND FATHER RICHARD CHRISTIANGUSTAV SCHURE, BIORN IN FREIENWALDE ON MARCH 9, 1851 AND MOVED TO NEW HAVEN, MISSOURI, USAOCTOBER 10, 1873. TRYING TO LOCATE ANY OF HIS RELATIVES IN BAD FREIEWALDE THATWOULD REMEMBER HIM. ST. LOUIS, NEW HAVEN AND HERMANN WERE BIG GERMAN SETTLEMENTS BACK THEN.